I live in a small town in Ontario, Canada, and I’m the mother of two daughters and servant to two spoiled furry children who don’t seem to realize they’re cats. Always on the lookout for inspiration, I’m a dedicated people-watcher. I love reading Romance – have to have my HEAs, and I adore 80’s rock. Thank you, sincerely. My fans are amazing and I love it when they contact me to discuss the series. Without them I wouldn’t be sharing the town of Brighton’s many stories. I appreciate every single reader and I’m thrilled they like my guys as much as I do. Read; conjure up stories, or listen to new characters who tell me what to write next. Typically, I know where I want the story to go and the major plot points I want to hit along the way. After that I just write. Sometimes the story will take a turn part way through and I’ll have to reconsider the direction but the ending never changes. When you’re told to be prepared for rejection they mean it. I was rejected quite a few times until I found my home at Boroughs Publishing Group. Now I have two series, and a publisher that believes in me. The lesson learned is to never give up no matter how many times you’re told no. Yes, after Coop is released on September 5th I will have one more book in the series coming out before the end of the year. The Boys of Brighton series will continue into 2018. Also, I have an alter ego that writes paranormal fantasy under another name. The second book in that series was released a few days ago. 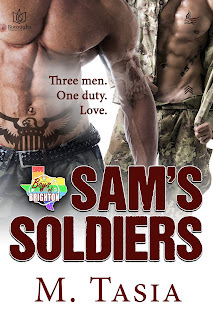 The next book in the Boys of Brighton series, Travis. In five years I would like to be busy writing another m/m series for Boroughs Publishing Group, as well as another fantasy series for them. There are a lot of stories in my head dying to get out. Write, write, and write some more. Polish your craft. Submit, submit, submit and never give up. Follow publishers’ submission guidelines. Read A LOT. 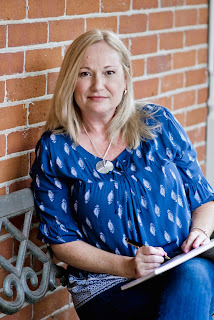 Get an audience well before your first book comes out. Reach out to other authors – they’re in the same boat and can be provide great support. I’ve been out of province (big states in Canada), and country before. Most recently, I went to the RWA conference in Orlando, Florida. 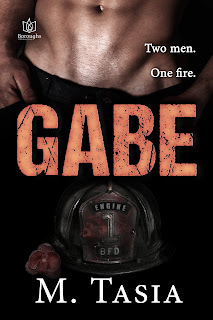 the flames…but instead of making a run for the window as Gabe had expected, he began to desperately push on the cabinet.